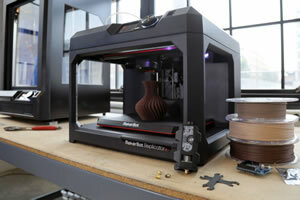 Darren Orf for Popular Mechanics: 3D printing feels a bit stuck. At the dawn of the 2010s, the device seemed destined to reimagine the creative process, putting the power of additive manufacturing within anyone's grasp. But trend has gone cold since reaching its popular zenith in 2013. While people continue to create amazing things with 3D printing, the "one in every household" promise has been put on temporary—or possibly permanent—hold.